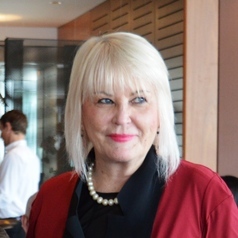 Her areas of expertise include educational measurement, curriculum and assessment systems design and review, providing high-level advice to ministries, jurisdictions and research projects in Australia and other countries. She has worked with education systems in the United Kingdom, the Middle East, Indonesia, Zimbabwe, Colombia, India and Pakistan, and for the World Bank in Tajikistan and Ethiopia. Dr Matters recently reviewed senior assessment and tertiary entrance processes for the Queensland Government with co-investigator Professor Geoff Masters, culminating in the report, Redesigning the secondary−tertiary interface. Her many other published journal articles, conference papers and books relate to statistical and social moderation, validity and reliability issues associated with test format, test-taking behaviour, criteria- and standards-based assessment, identifying and testing cross-curriculum skills, the alignment of curriculum, pedagogy and assessment, and the management of innovation.